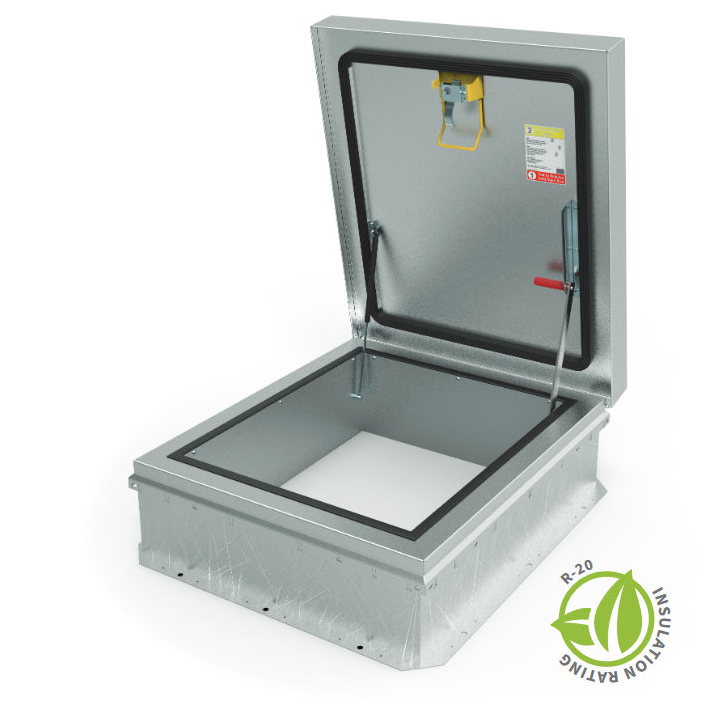 The ThermalMAX Roof Hatch sets the new standard for thermally efficient roof hatches. Designed with a thermal break to keep cool-cool and hot-hot, this hatch boasts an R-20 insulation rating making it today's most energy efficient hatch. IECC COMPLIANCE Code C402 for commercial building envelopes requires ≥R-5 in skylight curbs, a gasket weather seal to minimize air leakage and a solar reflectance index ≥82 in climate zones 1, 2, 3. ENHANCED INSULATION Three inch polyiso insulation provides a thermally efficient design to help maintain building envelope integrity; R-20.